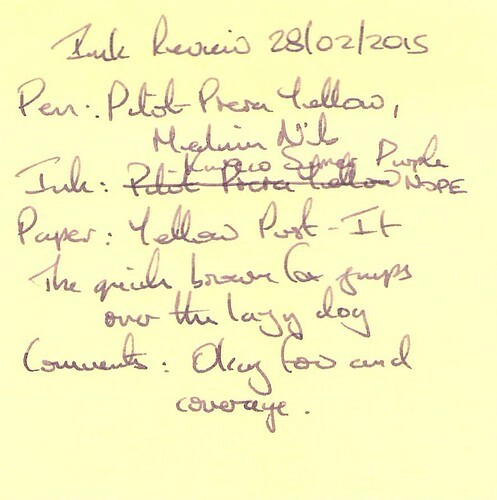 The test pen in this case was a yellow Pilot Prera Green with a medium nib. 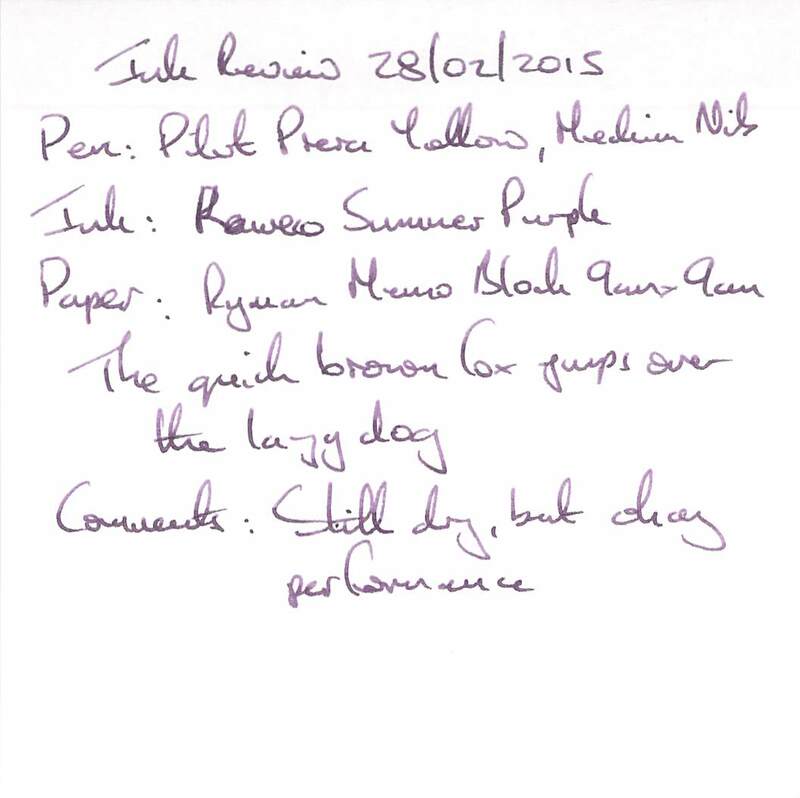 Water resistance was almost nil – only faint grey lines were left after holding a writing sample under running water, and text was obliterated by water drops. Cleaning was easy.. The drying time was very fast at around 10 seconds. The ink was a little on the dry side, but performance was okay over. 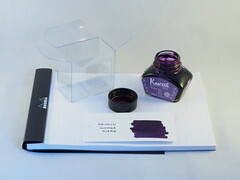 The problem is I don’t like the colour. 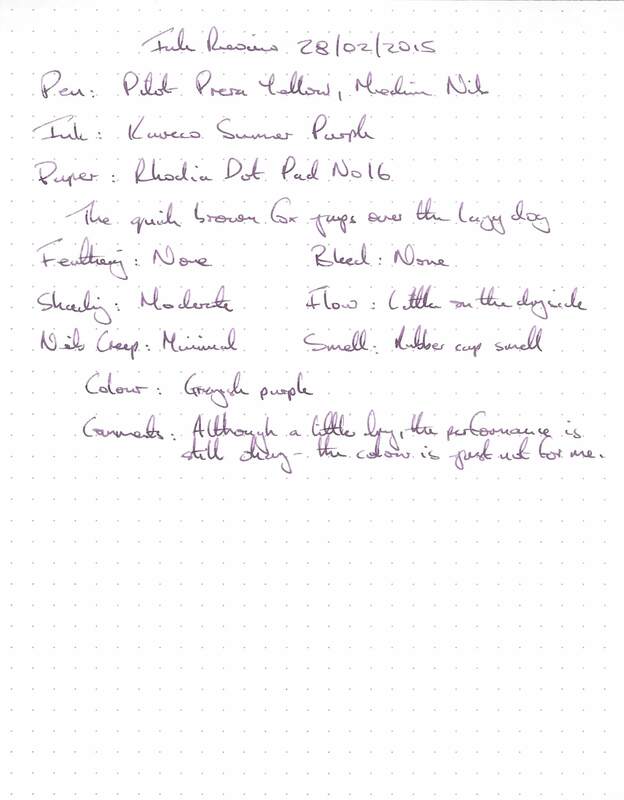 Still a little dry, but okay overall. Coverage and flow were okay. 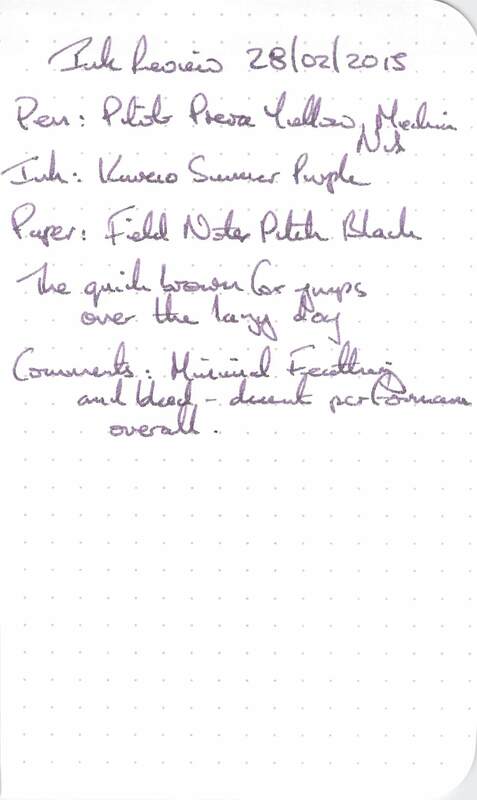 Good performance on this paper. 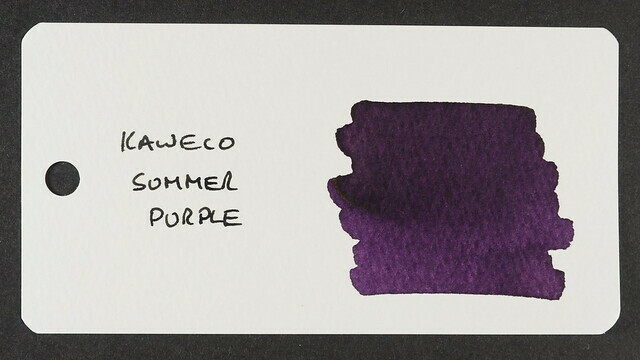 The swab makes this ink look much darker and more saturated. 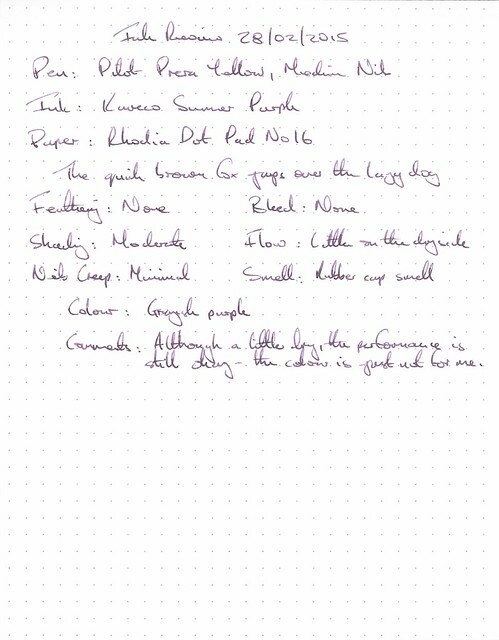 If it was like this in the writing samples I would be happy. 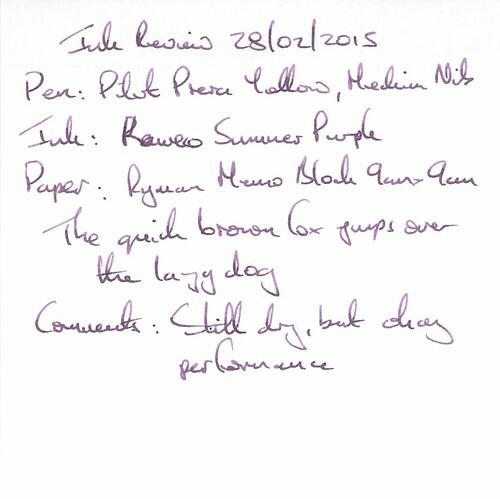 This suggests the drier flow may be a factor in the writing samples. 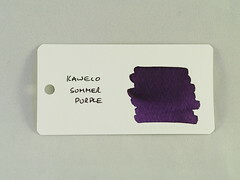 The name “Summer Purple” prompted another search on Google, as it’s not not really a term that I have come across before. 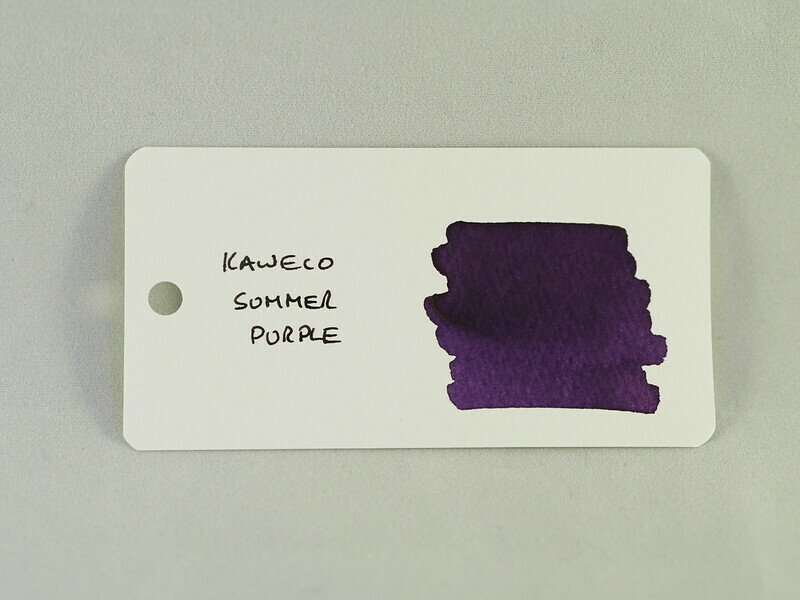 The search results showed something much darker, which I found quite appealing (more of an aubergine, plum or deep mauve), quite close to the Word Card swab. 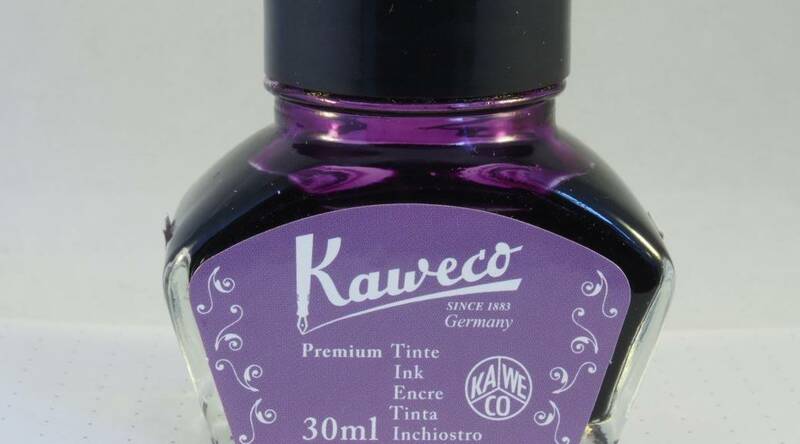 So maybe this ink would have fared better in a wetter pen. 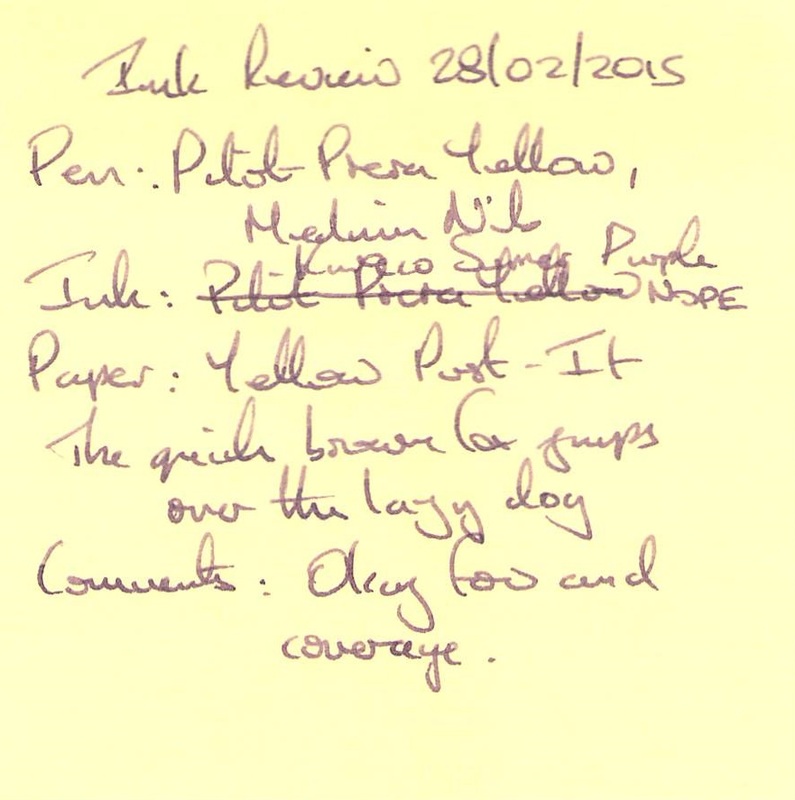 I may give that a try at a later date, but for the time being the ink didn’t impress me too much. 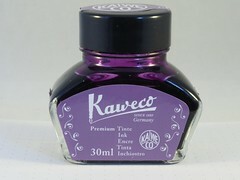 However, as with the other Kaweco inks, if you like the colour and the price then give it a try.